Scripps College’s intellectually stimulating environment, the beauty of our campus, and the warmth of our community can’t be fully communicated through a website. We encourage you and your family to visit Scripps. If you want to do a tour, information session, on-campus interview, and/or class visit, click HERE. Our one-hour, student-guided campus tour provides a close-up view of the facilities and resources available to Scripps students, as well as insight into the academic and social life of the College. Led by a Scripps admission officer, the information session provides an opportunity for prospective students and families to learn more about Scripps and ask questions about application procedures, admission policies, and other topics. During the academic year, high school seniors and transfer students may attend classes from a pre-approved list. NOTE: Monday – Thursday offers a much wider array of classes than Friday. Please access our Class Visits FAQ to learn more. Conducted by an admission officer or a trained senior interviewer, interviews are a great way to learn more about Scripps and help Scripps learn more about you. 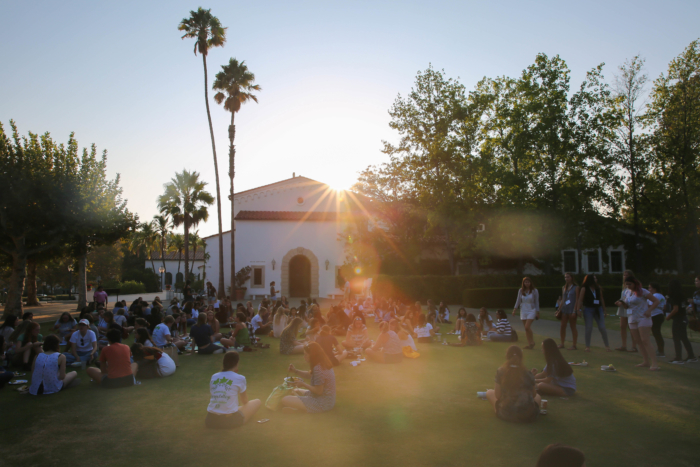 An overnight stay is an excellent way to experience social and residential life at Scripps. Hosted by a current student, visitors spend the night in a residence hall and eat meals in our dining hall. Overnight visits are available to current high school seniors and transfers. Please access our Overnight FAQ to learn more. Overnight visits are currently unavailable. Group visits include an hour-long student-led tour. A 30 minute information session with an admission officer may be an option, depending on staff availability. Group visits are available to groups of up to 20 female high school students. We ask that you arrive 10-15 minutes prior to your visit. If you are interested in visiting the other Claremont Colleges during your trip, please visit this website. Experience Scripps online and learn more about our resources provided on campus! Applicants who live farther than 150 miles from Scripps College and who are unable to travel to campus may be able to interview off campus with an admission officer or alumnae volunteer in their local area. We provide domestic and international interview options.